For the freebie topic of today, we decided to talk about our favorite summer activities that aren't reading. Cause you know, we occasionally do something other than reading. 1 -- Going to the beach: I LOVE going to the beach or go swimming at a lake, there's just something so peaceful about being out near the water and I just really love it when it's hot enough to swim outdoors and not turn blue. 3 -- Hosting barbecues: I love the laidbackness of barbecues and having people over is always fun! I'm a bit of a foodie and I enjoy making marinades and salads and adding some healthy options other than meat! And roasting marshmallows, because those are the best ever. 4 -- Shopping for cute summer dresses: I love this so much more than shopping for winter clothes. They're always so fun and I feel like twirling while wearing them! 5 -- Movie nights: I love a good movie night during any season, but during the summer, it just feels different. Of course nothing beats going to the drive in during the summer to watch 2 movies for the price of one, but you can still get that outside feeling at home. When it gets dark outside, open all the windows in your living room, turn all the lights out, load the middle of the floor up with blankets and pillows, grab a bowl of popcorn, and sit back for a summer movie night. 6 -- Sitting outside at night: Yes, I'm Kentucky born and raised. No, I don't go to Wal-Mart barefoot. But... yes, I do love sitting on the front porch in a rocking chair or swing outside at night. It's absolutely soul cleansing. I just have to coat my entire body in Off Bug Spray... twice. 7 -- Summer showers: This isn't so much as an activity, but I love summer rains. Whether it be day or night, I love the sound of rain and thunderstorms. 8 -- Outside concerts: We tend to go to way more concerts (and music festivals) and stuff because it's finally nice out. We love going to the venues especially that are outside or open air. 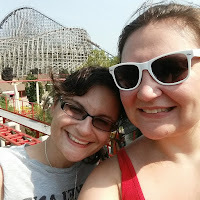 9 -- Discovering new ice cream places and eating at old faves: I always try to find at least a new ice cream place or two every year and we love hot summer nights after the sunsets when we can go grab an ice cream cone. 10 -- Laying out (and reading) at my pool: I LOVE the hot weather, I love my pool and obviously I love reading. It's my FAVORITE place to read and one of the most relaxing things in the world for me. Maybe this one is cheating because it involves books but I just generally love being in the pool or laying out on a nice warm day where occasionally I get a cloud or two as respite when I'm sweating. What are your favorite things about summer?? SHARE THOSE SUMMER VIBES WITH US! Today marks our SIX YEAR BLOGOVERSARY!!! 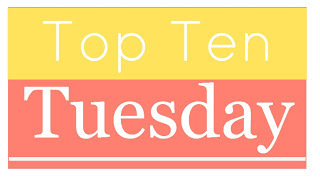 That is six years of this blog and SIX YEARS of Top Ten Tuesday!! Have a cupcake on us today! Well, pretend its on us! Thanks for all the book talk and making our TBRs grow every week! Today we are talking about our favorite 2016 releases thus far! 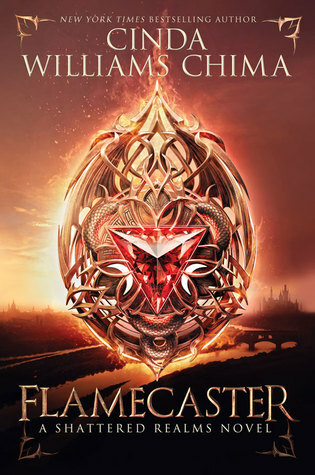 1 -- Flamecaster by Cinda Williams Chima: the first book in a series that is set in my beloved Seven Realms both broke my heart with some things and reminded me why I love this world and the author so much. 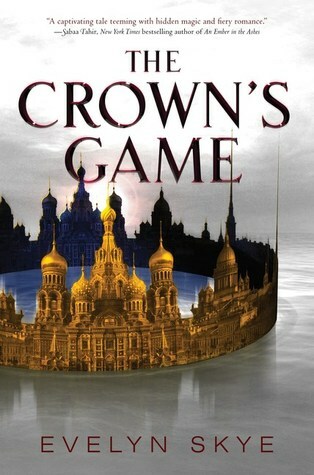 If you haven't before, you should definitely read the Seven Realms series and then this one. 2 -- A Gathering of Shadows by V.E. 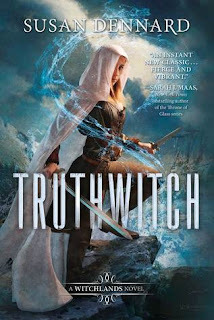 Schwab: this might even have been more amazing than the first book in this series A Darker Shade of Magic. 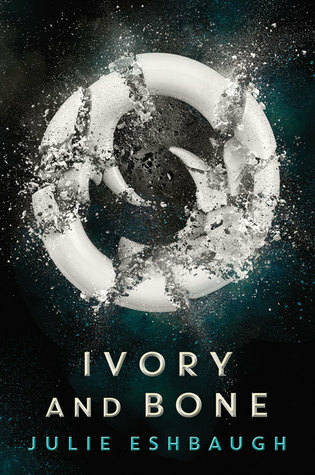 Read this all in one sitting during the readathon and it was AWESOME. 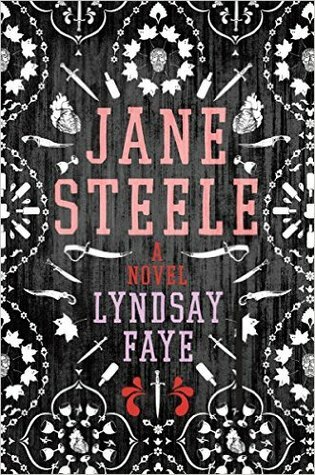 3 -- Jane Steele by Lyndsay Faye: I didn't expect to, but I LOVED this book! I mean, I love Jane Eyre and I'll always be intrigued by something that's marketed as a span on the classic, but I was surprised by how much I adored it! I had so many feelings! 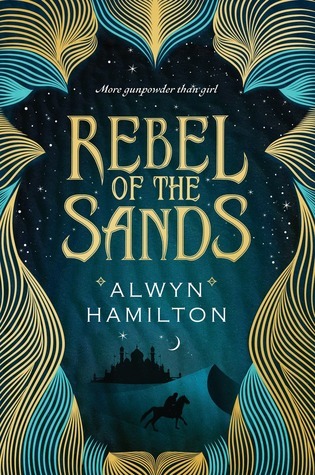 4 -- Rebel of the Sands by Alwyn Hamilton: I was lucky enough to receive this title to review from Netgalley and I was not disappointed. An easy 5 stars. And have you seen that cover? JUST LOOK AT IT. 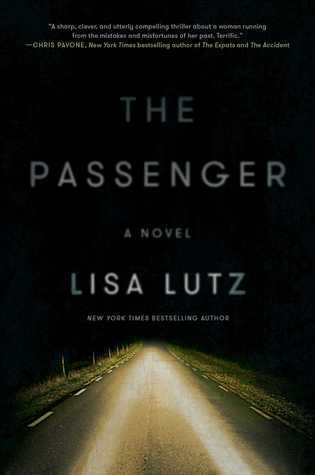 7 -- The Passenger by Lisa Lutz: I read this over a month ago I think and I'm still thinking about it. I just don't see those kind of books anymore. The ones that really stick with you. 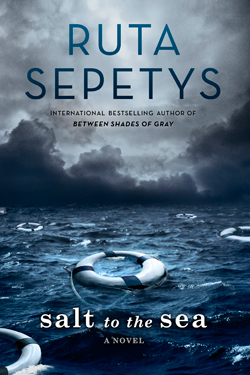 I'm honestly thinking of giving it a re-read already. 8. 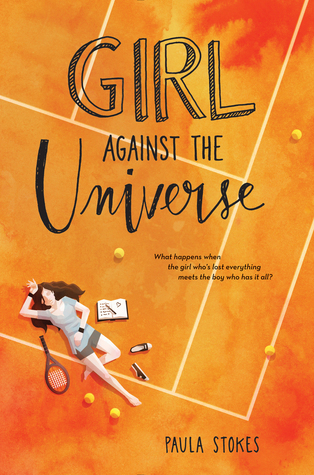 Girl Against The Universe by Paula Stokes: If you love contemporary YA, this is a must read. Cutest romance! It made me happy and made me cry and I just loved it. 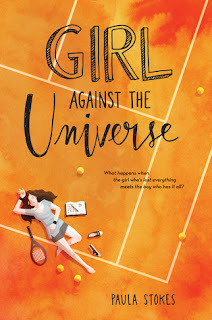 You can read my full review of Girl Against The Universe! 9. Truthwitch by Susan Dennard: Okay technically I read this last year so I didn't read it this year but it's still one of my favorite 2016 releases!! 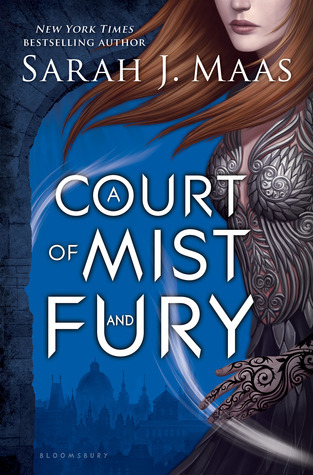 I loved this start to a new fantasy series and cannot wait to reunite with these beloved characters in the second installment. 10. 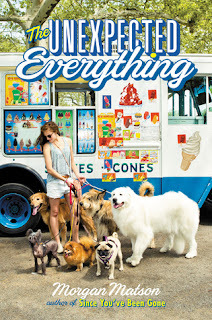 The Unexpected Everything by Morgan Matson: Another incredible contemporary YA book from one of my favorite authors! Morgan always delivers the perfect story and characters that I didn't know I needed in my life. 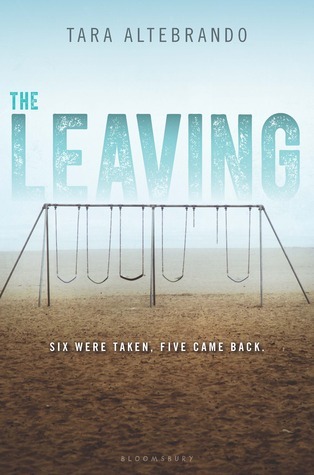 Perfect read to get to this summer! 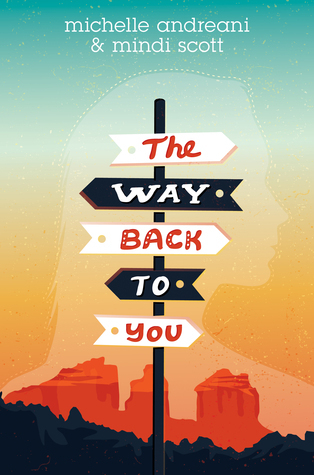 Great romance, complex friendship dynamics and an amazing father/daughter story. Oh and DOOOOOGS. Also, little Easter eggs if you've read her other books! Tell us your fave 2016 releases so far this year!! 1. 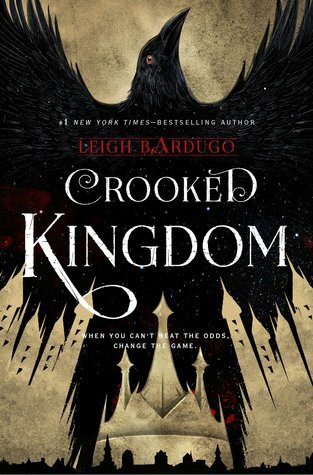 Crooked Kingdom by Leigh Bardugo: OBVIOUSLY this is at the top of my list because holy wow, Six of Crows was AMAZING and I need this book in my life. 2. 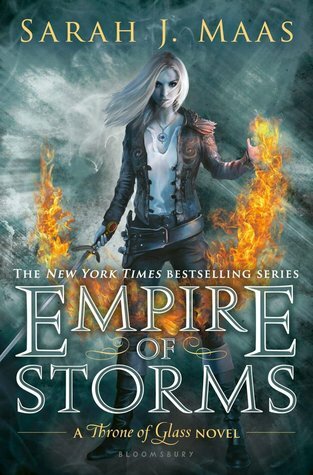 Empire of Storms by Sarah J. Maas: I expect this will be on lots of list today and it's on mine as well, I LOVE this series and am very excited to see how it'll continue! 3. 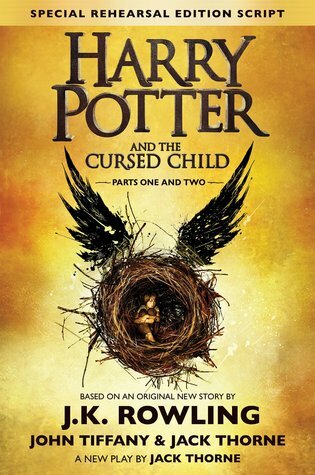 Harry Potter and the Cursed Child by J.K. Rowling: so obviously this will be another one on lots of list probably. I really need to stay off everything so I won't come across spoilers..
4. P.S. 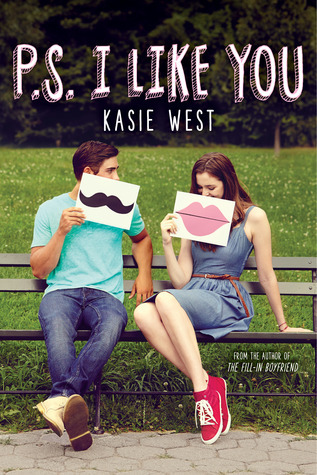 I Like You by Kasie West: I will forever read Kasie West's books because she always gives me all the feels and her contemporaries never fail to make me smile and swoon. 5. 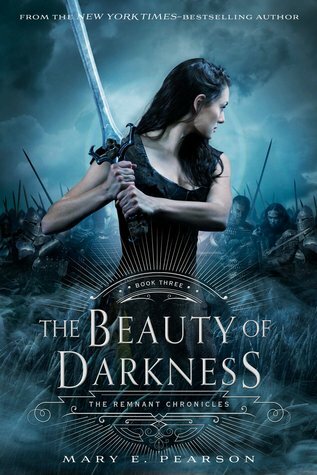 The Beauty of Darkness by Mary E. Pearson: I'm also sad because this is the end of this series but I need to know how it'll end! 6. 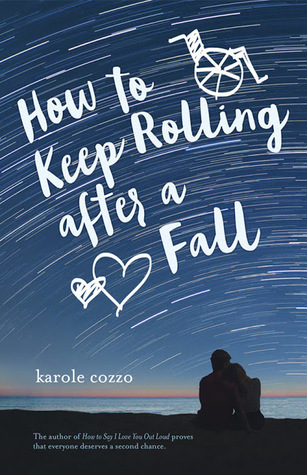 How To Keep Rolling After a Fall by Karole Cozzo: this is not a book that I would have usually picked up based on the summary, but I ADORED How To Say I Love You Out Loud and I need to have more of Karole Cozzo's storytelling in my life. 7. 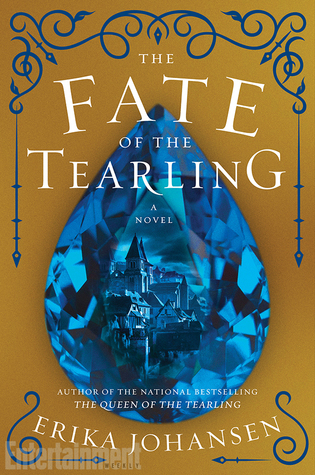 The Fate of the Tearling by Erika Johansen: I'm both dreading the end of this series and really excited about it, can't wait for this one! 8. 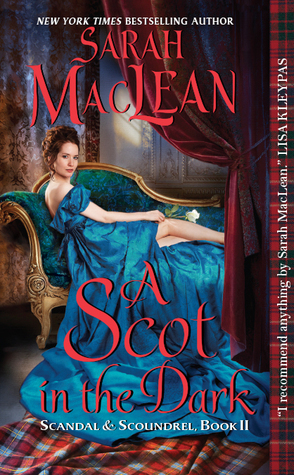 A Scot in the Dark by Sarah MacLean: Sarah MacLean is one of my favourite historical romance authors and I'm always excited when she has a new book coming out! 9. 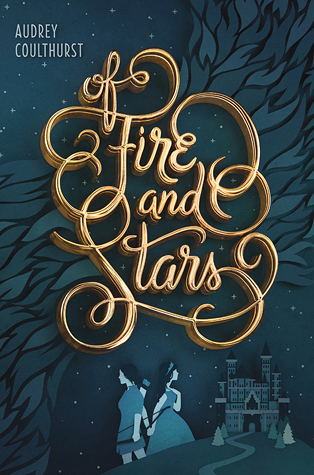 Of Fire and Stars by Audrey Coulthurst: I'm not gonna lie, this is exciting both because I love a good fantasy plot, but also because it's a YA fantasy that has a romance brewing between two princesses and I don't come across those often. I really hope this awesome. 10. 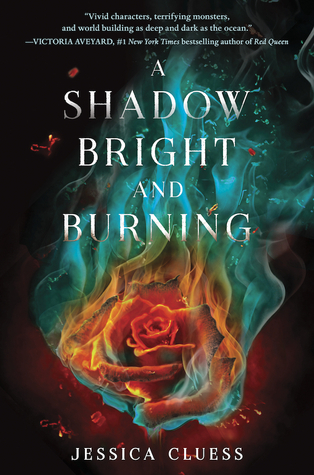 A Shadow Bright and Burning by Jessica Cluess: basically this sounds like an epic new fantasy series and I'm always looking for those! Back in November, I moved in with my boyfriend. This entailed moving an hour away, to a town that I had been going to all my life because my grandparents lived there. I had long romanticized the little town and wanted so badly to move there and become a part of the daily life. Couldn't explain why if I had to. It's been the inspiration of a few stories that I've had running through my head, formulating themselves, for ages. Basically, I love it here. 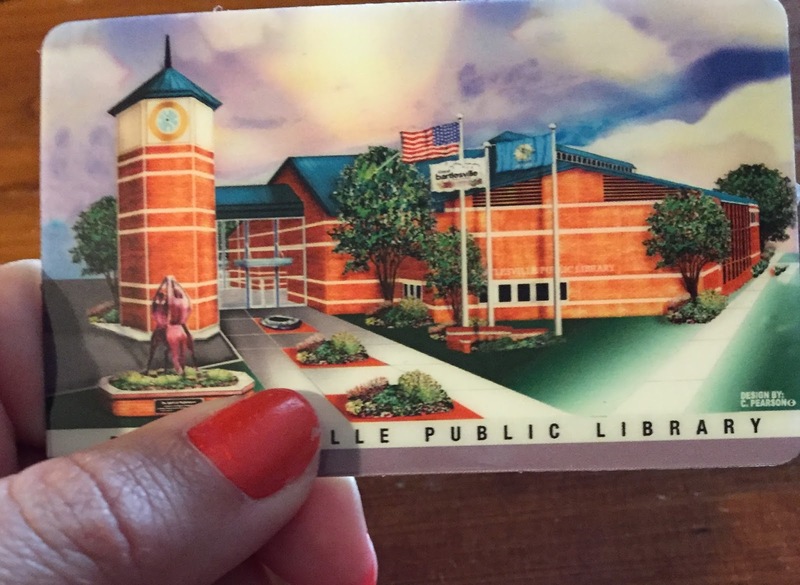 I decided a while ago that I wanted to get a library card. I figured that 1. it would help me be more a part of the town and 2. it would be a cheap way for me to get access to new to me books. 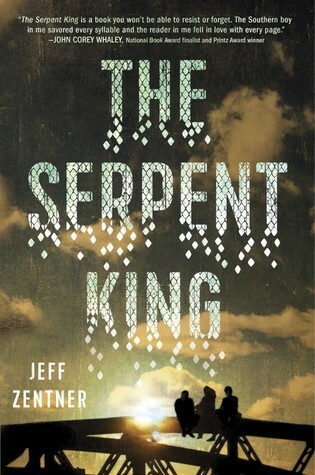 Somewhere around high school, I figured that I really sucked at libraries because you have just two weeks to read the book and return it (they didn't have online renewal yet), so I just gave up on libraries as a viable option for me. But, now that we've got online renewal, I can check out a book for quite a while and hopefully get to it in time, and my need is surpassing my former attitude. I was still on the fence about it until last week at the pool. One of the ladies there asked what I was reading, showed me what she was reading, and said she got it at the library on a whim. Internally, I was like, "I'd like to get books on a whim and not risk getting burned!" A couple of days later she described the book and it sounded amazing! A quick look at my bank account made me realize that I couldn't buy my own copy even if we had a book store in town. That really kind of settled it for me--I needed to get a library card asap. Yesterday I had some time to kill before the pool opened, so I took the plunge. I grabbed a utility bill that was in my name and headed downtown, on a mission. As I drove, I couldn't help being pretty excited--I was getting a library card--I was becoming a real citizen here. It all just felt big. I'm sure someone, probably even several someones, reading this post will understand what I mean. Yay! It wasn't quite the Harry Potter getting a wand moment, but it was maybe a little close since the AC kicked on and a slight breeze blew my hair back. After getting the card, I looked around for the book. My pool friend still had it checked out. So I wandered around a little bit. I almost picked up a huge annotated Adventures of Huckleberry Finn, but it's sheer size kept me from wanting to take it to the pool (I definitely filed it away for later). Randomly, I picked up and checked out Galapagos by Kurt Vonnegut--started it at the pool, and so far so good. I also put a hold on the book my pool friend has so as soon as she returns it, that sucker is mine! At least for a week. I'm even looking at the two week limit as a challenge as opposed to a restriction. As much as libraries have stayed the same since I was a kid, they've also changed a lot! For the past nine years, the only libraries I've been in have been on college campuses. They have all of the latest technology and, in many ways, are more about creating a research-friendly environment as opposed to fulfilling a civic service. This library had plenty of technology for the community, which is great, but they were definitely still book-centered. And the summer reading program. I wish there was one for grown-ups. But my favorite thing is that now they'll send you texts when your books are due or when holds come in. Awesome! This week's topic: Ten Reasons I Love X -- could be a certain book, character, author, your indie bookstore, a fandom, a tv show, reading, a hobby, a genre. Honestly anything you want to gush about. 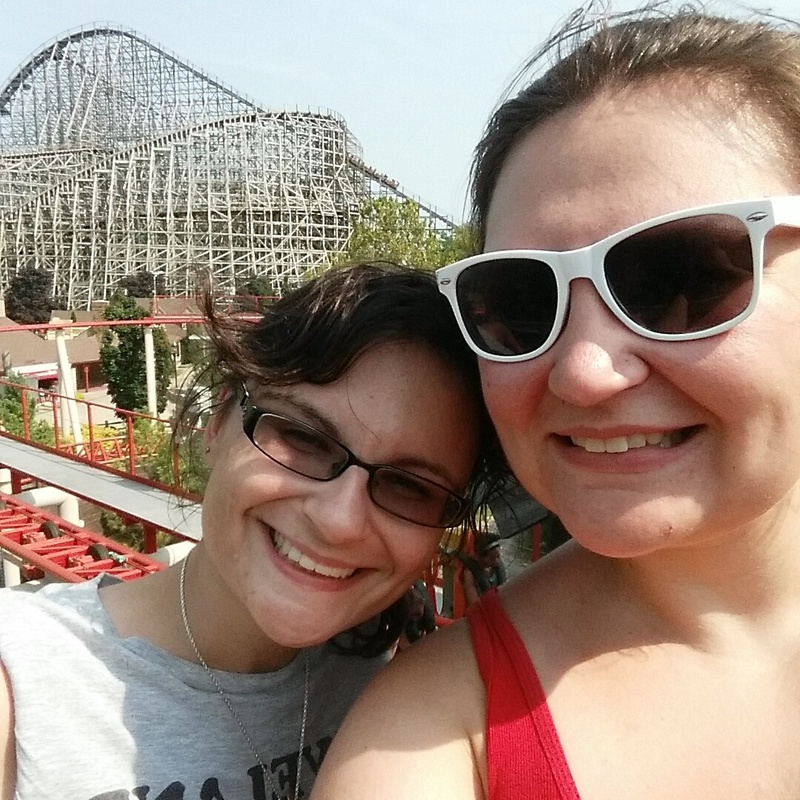 6 years ago this month, these fabulous ladies and I started planning this blog and what we wanted to do with it. While our blog anniversary isn't until the end of the month when we actually debuted the blog, today I just want to spread some love and talk about why I love the online book community so much in honor of 6 years in this great community! 1. You will never run out of things to read -- seriously being around you people makes my TBR grow exponentially! It's kind of ridiculously how many books I've added because of this community over the past 6 years. 2. When you NEED to talk about a book or some bookish problem, there is ALWAYS someone available for you: The best thing about being friends with people online is that people are from ALLLL AROUND THE WORLD. So like when I finish a show that breaks my heart into a million pieces or a book that I just HAVE to rave about -- there is always someone there for me. Like that time I watched Dance Academy and got to THAT PART at 2am and thank the lord because so many of my friends across the pond were there for me!! 3. Along with that, having friends around the world pretty much means every time I travel I PROBABLY have a friend I can visit wherever I go: It was so nice last month when my husband and I were in London because I got to meet up with some London bloggers I adore! FRIENDLY FACES ALL OVER THE WORLD. 4. 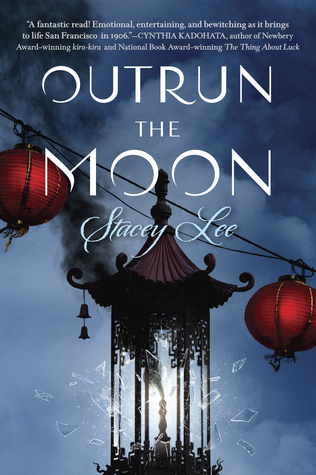 Everyone is so generous and wonderful -- I see the generosity of this community constantly -- sharing books, giving advice, authors taking time to chat with fans or give encouragement about writing, rallying together around people, raising money for important causes or for our friends in the community! It's such an amazing community. 5. It's so easy to meet friends or make really great connections because of the way books are so personal: What I mean is that I find the nature of talking about books a pretty personal thing because every reader brings their own life and experiences into it and I LOVE how this easily opens us up to connecting with people just by talking how we relate to something in a book or by gushing about our favorite characters or thinking critically through a book together. 6. Creativity abounds: I've been in this community for 6 years and I am ALWAYS so impressed by the creativity in this community. 7. We are made up of passionate readers: WHERE ELSE IN THE WORLD CAN YOU FIND MORE PASSIONATE PEOPLE WHO LIKE TO TALK IN ALL CAPS ABOUT BOOKS????? 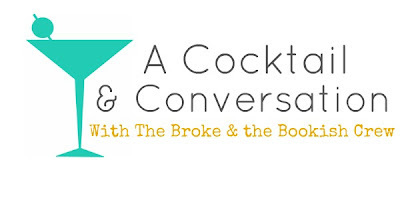 The bookish online community is unparalleled LETS BE REAL. I'm so proud of this community for being so passionate about reading and literacy and connecting people with books they love. I've seen that passion do many things for the publishing industry and for readers. I'm seriously so proud of what our passion has accomplished and how we champion books and authors we love and use that passion also for better representation and to fight some of the broken things in publishing. This community CARES SO MUCH about books and readers and authors and just publishing as a whole and pour soooo much time and energy into it. 8. There's so much to learn from it: I don't think I have ever learned so much from any other community I've been apart of. When I started this journey of blogging back in 2010 I wasn't aware of sooo many of the things the bookish online community has taught me. I thought feminism was stupid and in these years I learned what feminism really is and am proud to be a feminist. I didn't know much about sexism. I really didn't know about many of the racism issues that happen or the daily microaggressions I've now seen people I care about have to deal with. I didn't realize diverse representation was a problem. I really didn't know much about the LGBTQIA+ community. THERE WERE SO MANY THINGS I JUST DIDN'T KNOW. And it was humbling because I realize how many things I've said were just SO WRONG in my life because I JUST DIDN'T KNOW -- slurs and sexist thoughts and so many other things that I never knew were harmful which is something I would have never wanted to do. I'm happy to learn and do better. This community has taught me SO many things and I get to learn from such a diverse group of people. 9. I am able to get personalized book recommendations: I mean, I can't walk into many places and have someone be like JAMIE JAMIE JAMIE this book is for you. 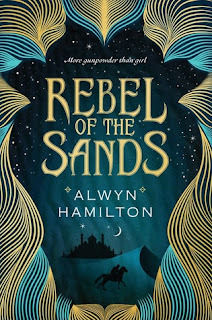 But the online book community doesn't hesitate to let me know if they think I would love a book because they KNOW me or what kinds of books I like. Or when I am looking for something super specific I can shout it out on my blog or Twitter and people rush in with very specific recs to my very specific reading needs. IN AN INSTANT. 10. Because y'all make me feel like I belong: seriously, this community has been a lifesaver for me in SO many ways over the past 6 years. It would take me forever to explain why. What I do want to say is that this community made me feel like I found my people and gave me the courage to BE the person I am rather than the person I was putting on. I embraced things I loved that I previously hid. I just really grew into my own because of this community -- because I felt like I was heard, understood and that I could be so ridiculously open in a way that I couldn't with a lot of people in my life. I was more myself HERE then I was IRL. All of this really translated into my IRL life through the years and I finally felt like I knew who I was and I was happy with it. 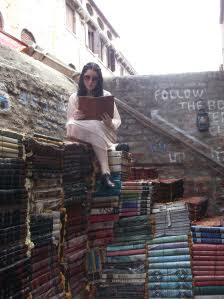 SO...I love all you online book people whether you blog or vlog or take pictures of books or tweet or WHATEVER YOU DO. If we've connected over books....I HEART YOUR FACE. Hi TB&TB readers! 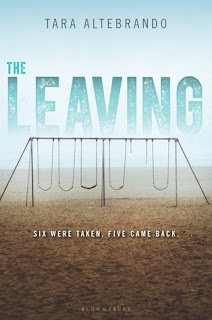 I thought I'd mix things up today and do a spotlight post for a good friend who is hosting a book tour for none other than Melinda Salisbury! You might've heard of her due to her first well received novel, The Sin Eater's Daughter. 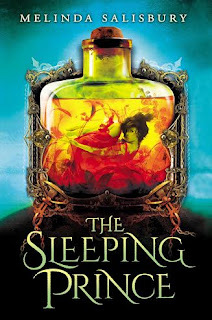 Today I am posting all the juicy details about the sequel, The Sleeping Prince, which was released just yesterday! Enjoy! Melinda Salisbury lives by the sea, somewhere in the south of England. As a child she genuinely thought Ronald Dahl’s Matilda was her biography, in part helped by her grandfather often mistakenly calling her Matilda, and the local library having a pretty cavalier attitude to the books she borrowed. Sadly she never manifested telekinetic powers. She likes to travel, and have adventures. She also likes medieval castles, non-medieval aquariums, Richard III, and all things Scandinavian. 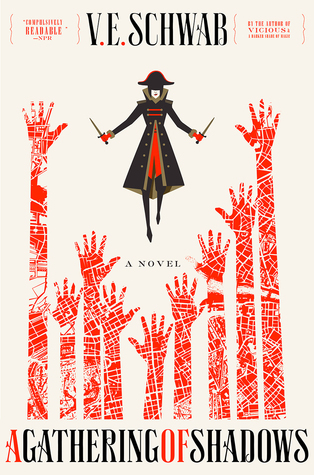 The Sin Eater’s Daughter is her first novel, and will be published by Scholastic in 2015. She is represented by the amazing Claire Wilson at Rogers, Coleridge and White. She tweets. A lot. You can find her at the links below! 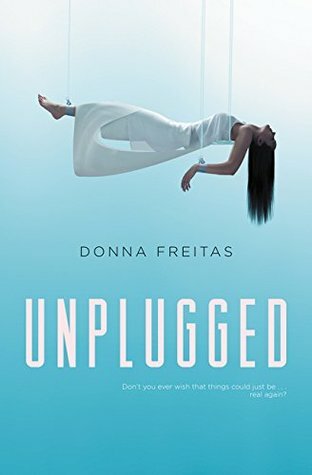 Return to the darkly beautiful world of The Sin Eater's Daughter with a sequel that will leave you awed, terrified... and desperate for more. Interested yet? I know you are... which is why I'm happy to announce a giveaway! Please use the rafflecopter below to enter to win a finished copy of The Sleeping Prince by Melinda Salisbury!